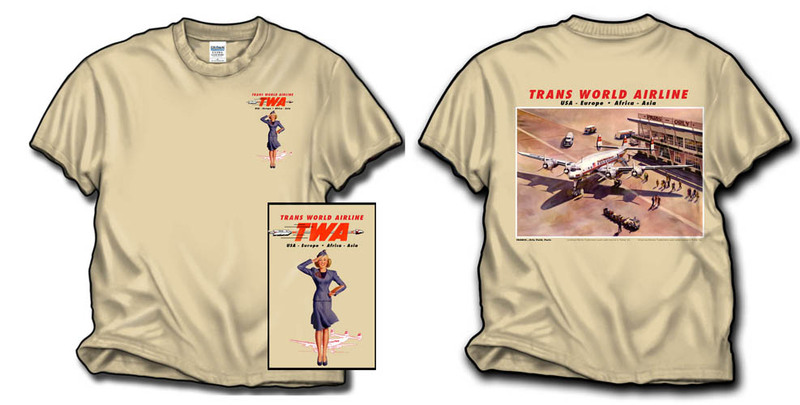 The TWA 049 Constellation shirt was taken from a vintage advertising calendar. We have Connie as it would appear in the '50's at Paris Orly. On a 100% cotton Desert Tan heavyweight shirt. The front has the smiling "Stewardess" posed in front of the outline of the Connie!. American '50s Eagle Logo Shirt!